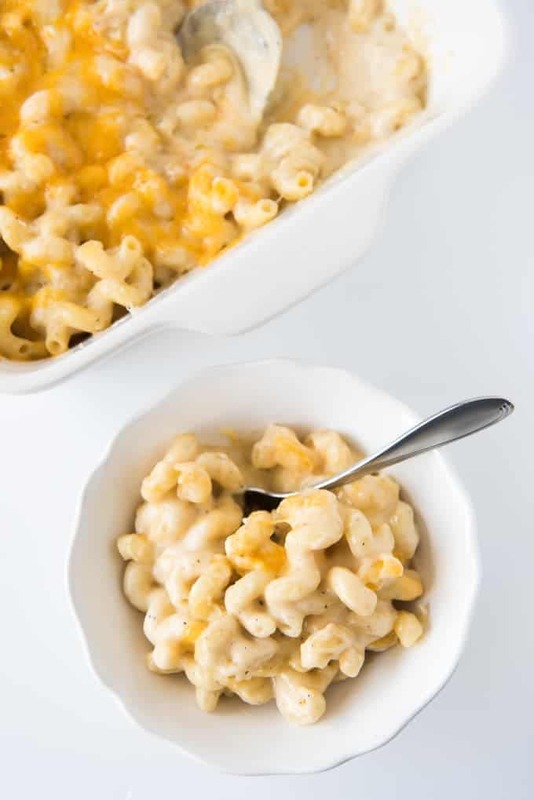 Super creamy, cheesy, and delicious, this Copycat Costco Mac and Cheese is the ultimate comfort food made with five different kinds of cheese. When it comes to macaroni & cheese, nobody does it as well as Costco, in my opinion. It’s my favorite! 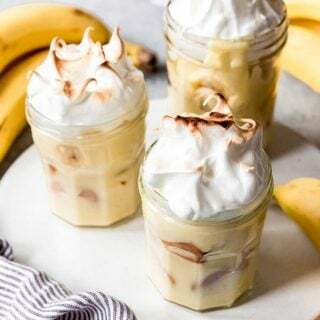 The flavor is just amazing and it’s so creamy and comforting and gooooooooood. 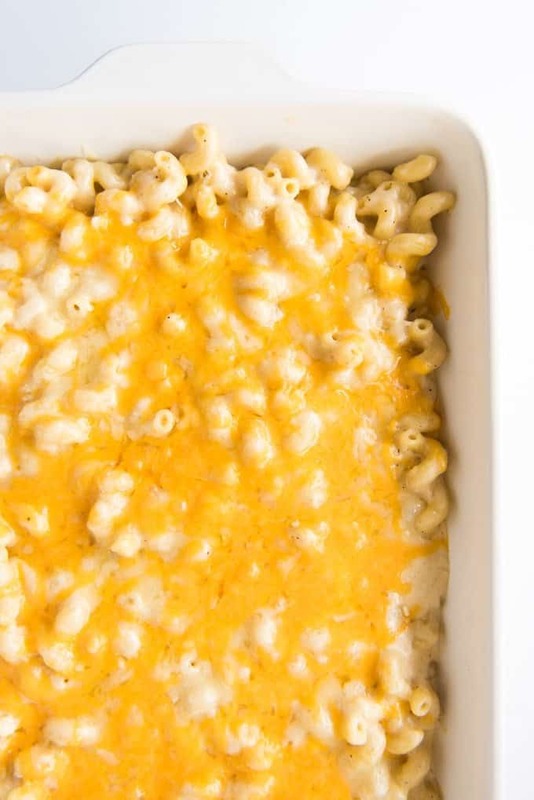 I have tried lots of mac & cheese recipes over the years but hands down this one is the best. So naturally I had to recreate it at home. The only other copycat Costco mac and cheese recipes I saw called for alfredo sauce, which didn’t seem right to me, so I looked up the ingredients listed on the Costco mac & cheese package and went from there. And I’m pretty confident that I nailed it. This tastes just like my favorite cheesy comfort food from Costco! It’s perfect as a main dish for a meatless Monday, but it’s also awesome served as a side dish with my favorite BBQ Beef Brisket. There are a couple of key components to making this mac and cheese just like the Costco kind. The first is using five (yes, FIVE!) different kinds of cheese. The heavy hitters are really just a good white cheddar and a gruyere (which melts down amazingly well), but there is also Romano, Parmesan, and a little bit of medium cheddar sprinkled over the top (mostly for color, if I’m being totally honest). While you could totally make this mac & cheese using other cheese varieties like Emmental or Gouda or American (and I’m sure it would taste wonderful), I stuck with the ones listed on the Costco package since that was the exact flavor I was trying to recreate. While your pasta is cooking to a barely, barely (and possibly even slightly underdone al dente), prepare your béchamel sauce, which is just a roux of butter and flour cooked together with milk whisked in until a nice, moderately thick white sauce has formed. Then you stir in half of the cheese and some seasonings like paprika and garlic powder before combining the sauce with the cooked and drained pasta. 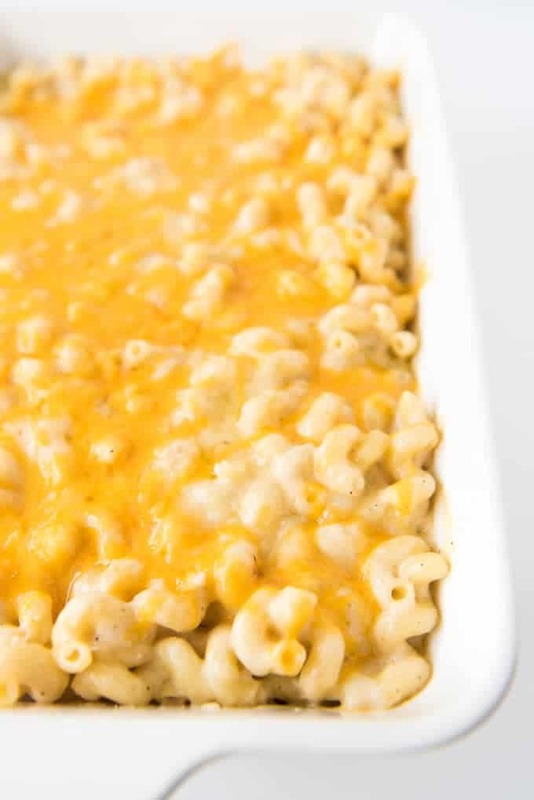 Because the sauce is hot and you are going to bake the macaroni & cheese in the cheese sauce in the oven for just a bit, you definitely don’t want to overcook your noodles when boiling them. I find that if I follow the pasta manufacturer’s instructions for cooking the pasta al dente and stop just 1 minute to 30 seconds shy of their recommended time that it turns out just right. Dump half your pasta & sauce into your baking dish and sprinkle half of the remaining cheese over top, then dump the remaining pasta and sauce over the cheese layer and repeat with a final layer of cheese sprinkled over top. 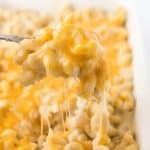 The layering of the grated cheese over the cheese sauce is what makes this copycat Costco mac and cheese extra super gooey and cheesy and wonderful – just how I like it. Then you bake it just long enough to melt all the cheese and scoop it out. Seriously, this stuff is ah-maze-ing and I love, love, love it. I hope you will too! Fill a large pot with salted water and bring to a boil. Cook your pasta according to package directions until just 1 minute shy of al dente (mine was 5 minutes). 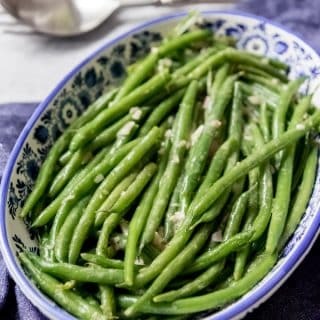 Drain well, then return to the pot and toss with 1 tablespoon olive oil so it doesn't stick together in a clump while making the sauce. While the pasta is cooking, grate the cheeses. You are going to add the cheese in 4 stages, so it might be helpful to divide them into fourths now. In a large saucepan, melt the butter over medium heat. 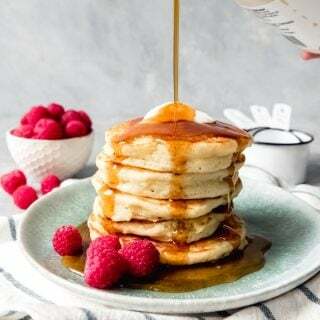 Once the butter is melted, add the flour and whisk well, cooking for one minute until completely combined and the roux begins to look a bit like wet sand. Slowly add the cream and 1 cup of the milk, whisking continuously, until smooth and completely combined. Add the remaining 2 cups of milk, whisking and cooking over medium heat until the sauce thickens a bit, about 3 to 4 minutes. 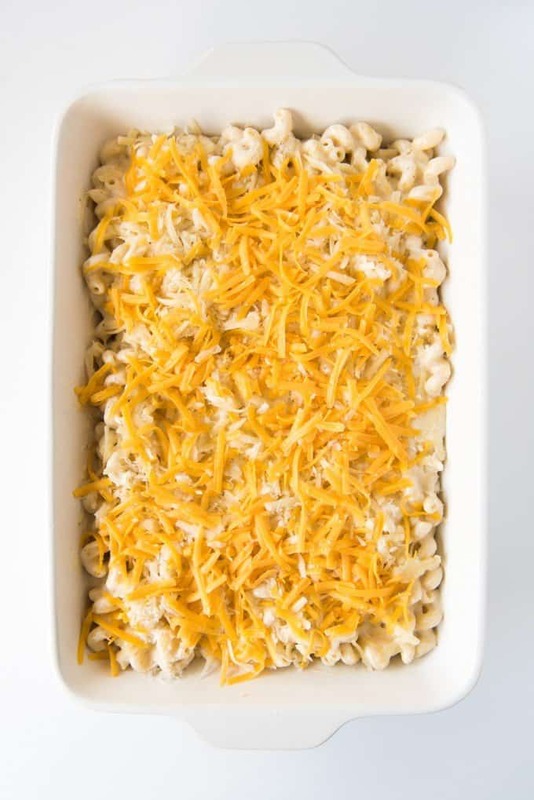 Stir in the salt, pepper, paprika and garlic powder, then add 1/4 of each of the grated cheeses except the medium cheddar, which you will save just for topping the mac & cheese. Once the cheese has melted, add another 1/4 of the grated cheeses and stir until it also melts and incorporated into the sauce. Pour the sauce over the cooked pasta and stir to combine. 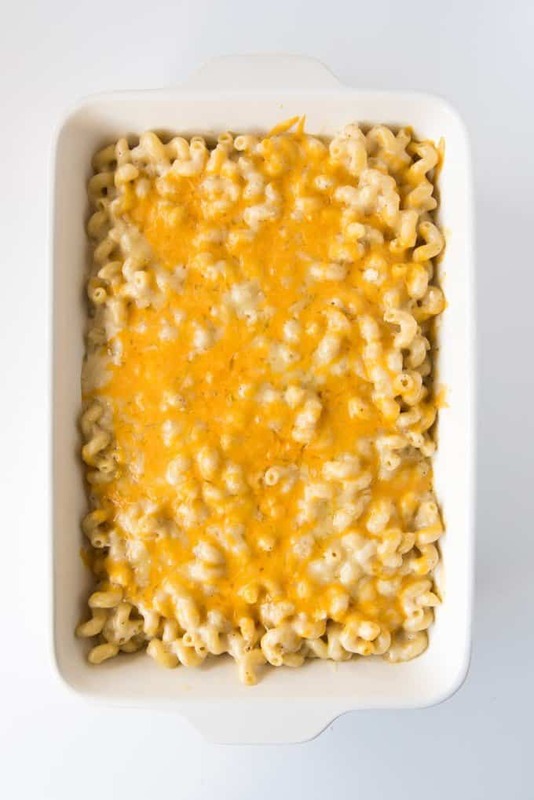 Pour half of the pasta & sauce into a large 9x13" baking dish, then sprinkle another 1/4 of the grated cheeses over that layer, then repeat with the remaining pasta and sauce, the remaining cheese and finally sprinkle the grated medium cheddar over the top. Transfer the macaroni & cheese to the oven and bake, uncovered, for 15 minutes, until the cheese is completely melted and bubbly. Serve immediately. While you can really use almost any cheese you would like when making macaroni & cheese, I highly recommend using freshly grated cheese. The stuff that comes pre-shredded for you doesn't melt nearly as well as freshly grated cheese. Adapted from The Chunky Chef. I am a Costco fan too. Love the chicken pot pies…and yes the pizzas. When we are pressed for time, I would much rather buy something at Costco than takeout any day. Love the sound of this mouthwatering mac and cheese. 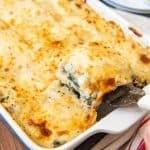 Perfect comfort food…to feed a crowd!! I’m right there with you! 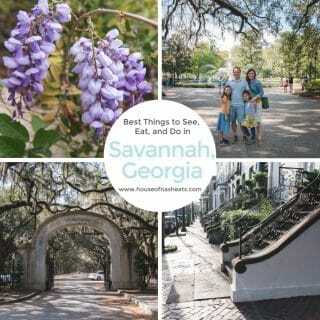 I actually really like a lot of what they make there and it is way better than takeout. You’re going to laugh, but I had no idea Costco has their own mac and cheese. But I can see why you love it! Great job making your own version! Yummers who doesn’t love a godo mac n cheese! Yours looks delectable I must try it soon since my grandson loves pasta! My husband would go NUTS if he sees this 😀 He’s a huge (melted) cheese fan. Well, who isn’t right? heheh Amy, this mac & cheese looks fantastic. Five kinds of cheese.. oh, my… Can’t say no to that! 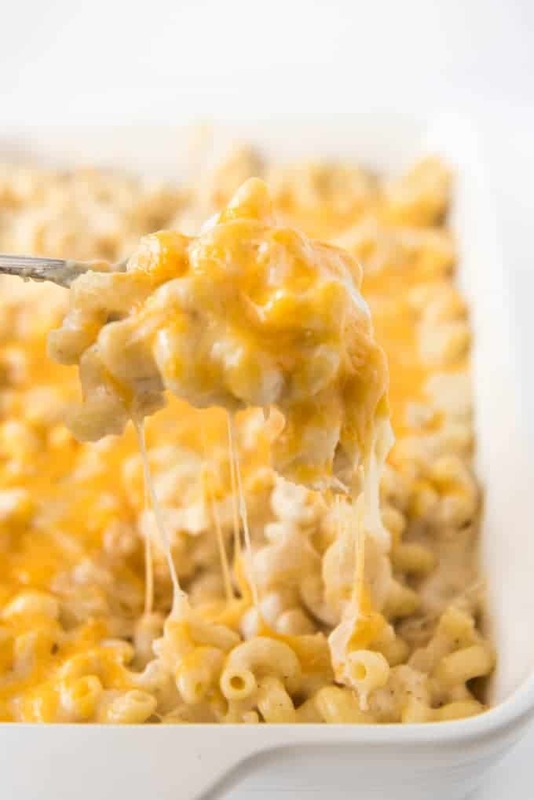 I didn’t even know that costco sold mac and cheese but that doesn’t matter because now I have this fabulous recipe to make at home and homemade is always best!!! Love this Amy, super rich, creamy and yummy! 5 cheeses? This has got to be the ultimate mac n cheese! 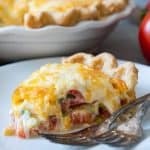 I can just imagine how creamy and yummy this is with all that cheesy goodness! We are big Costco fans but I’ve never tried their Mac & Cheese. Hubby would look at me as if I were crazy if I tossed it in our cart — it’s only the two of us and all our kids and grandkids live out of town. Now, I’m pinning this for when we all get together again. Yep!! That way I’ll get to taste it. 🙂 Thanks for sharing. Holy cheese, batman! When I first looked at this, I was reminded of the bland mac and cheese served at school cafeterias and then I read the ingredient list, and I knew I was wrong. 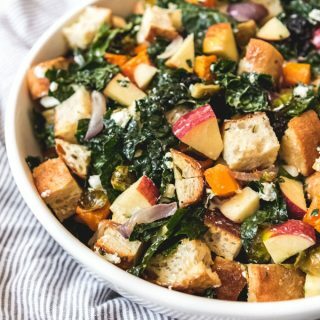 This sounds glorious and super, super cheesy. Thanks for sharing! Mac and cheese is only dish my kids won’t say no at any time. give them lunch or dinner. They are happy. You made better than store bought version. LOVE Costco Mac & Cheese. It’s the BEST! Your photos look incredible. 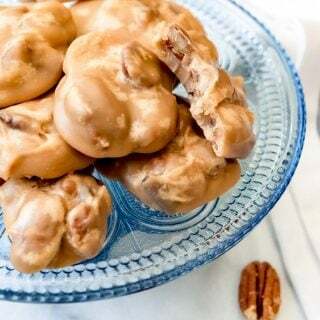 I’m drooling just thinking about this delicious recipe! I can eat Mac n Cheese like forever and still cant get enough 😉 This looks so delicious and I absolutely love the one Costco sells and you just made thing much more easier for me as I always have cheese and macaroni at home. I’m going to try this soon. We don’t have a Costco anywhere near me so I have never had this before but it looks creamy and delicious, just the way macaroni and cheese should be. My kids aren’t fans (WHAT? I know, right?!) but my husband and I could share and it’s just more for us! My kids love to try and get me to buy them mac and cheese when we go to Costco! It’s like Costco is trying to frazzle me! I will say that their mac and cheese is the absolute bomb and if I can make it for them at home maybe I will make it through a shopping trip in peace! You’re killing me with those pictures. All that cheesy goodness, and FIVE kinds of cheese? DREAMY! This was the best mac and cheese I’ve ever tasted! Took it to a potluck, and it was gone in no time. I’ve never had Costco’s mac and cheese, but this has got to be way better. Delicious!! Nailed the Costco recipe! Awesome! I have bought the Costco mac and cheese and thought it was very good except for one thing. Mac and cheese should not have a garlic flavor to it. I love garlic but it is overwhelming in the Costco brand. I, personally think they would sell way more of it by just deleting garlic from the recipe. I guess to each his own because that’s one of my favorite things about it! I love cheese & garlic together, so that’s why the Costco mac & cheese really speaks to me! 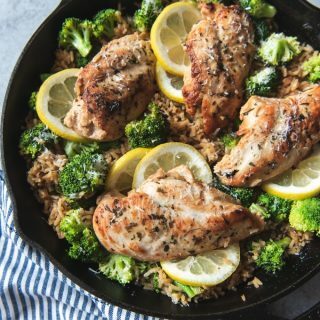 I’m going to try this with the panko bread crumbs next time! Glad you liked this! Have you ever tried freezing this? I’m looking for a mac n cheese recipe that can be frozen and will still be great. No, I haven’t tried freezing this yet. 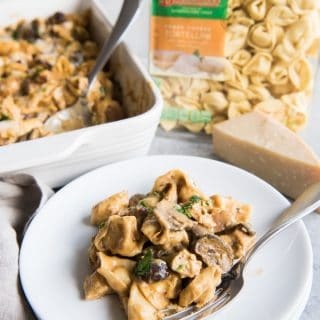 But if I was going to try that approach, I think I would let the cheese mixture cool before adding it to the pasta so it doesn’t cook the pasta too much before putting into the freezer. I will have to give it a try! I work for costco and it is 100% made with Alfredo sauce. mix Alfredo cheddar cheese and pre cooked cavatappi, top with more cheddar. bam! Any kind of cream will work, although I tend to have heavy whipping cream on hand so that is what I typically use. i have 2 bags of the kirkland signature mexican cheese that i need to use up, i know you have mentioned shredded cheese doesn’t melt well. what other cheese can i use in addition to the 2 bags? You totally CAN use pre shredded cheese, but it might make a slightly less creamy macaroni and cheese because it doesn’t melt as well. Oh yea! This is a total fan favorite. My kids would make this a food group if they could! All that creamy cheese! So good! Can you believe I’ve never been to a Costco? I can say this looks like a phenomenal recipe for mac n cheese and I’m printing it out for next week’s menu! Thanks! Seriously, this looks amazing! 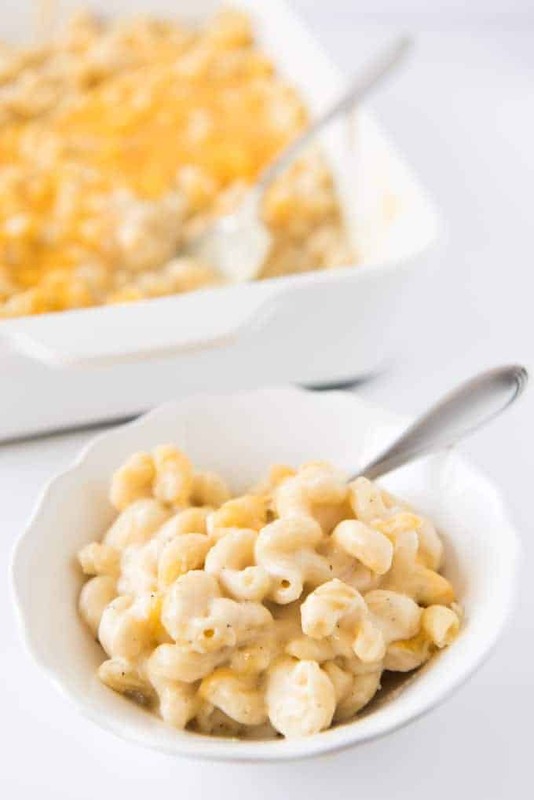 Mac and Cheese is one of my favorites and this definitely looks so delicious, creamy and super cheesy. Can’t wait to make this. I was wondering if I can make this mac and cheese dish the night before so as to cut the time on serving day? Yes, you could make this in advance, but I would cool the pasta and sauce before combining them together so that the pasta macaroni doesn’t soak up too much of the sauce. Once they are cool, mix together and refrigerate, then bake until hot the next day.